"It'll be a 20-year-plan to turn what's currently a bizarre jumble of skyscrapers, empty lots, an aging Saddledome and several rail lines into Calgary's entertainment district of the future, and a cool place to live," writes CBC Calgary's Scott Dippel after obtaining an early draft of plans to redesign Victoria Park. Imagine you were given a serious chunk of Calgary's core, a blank sheet of paper and a pencil, and told you could turn it into whatever you wanted. That's pretty much what the Calgary Municipal Land Corporation (CMLC) is doing with Victoria Park. Planners and a couple of architectural firms are hammering away at a vision for the future of one of Calgary's oldest neighbourhoods. It'll be a 20-year plan to turn what's currently a seriously bizarre jumble of skyscrapers, empty lots, an aging Saddledome, a bus barn and several rail lines, into Calgary's entertainment district of the future. And a cool new place to live. The draft plan will come out in a couple weeks, but an earlier iteration of the plan was obtained by CBC Calgary. The next step will probably be different, but think of this as a draft plan of a draft plan. Nevertheless, it's clear this is going to take a whole lot of cash and some serious massaging of vested interests. Redesigning a whole neighbourhood takes a lot of planning. The stakes are huge. Mistakes would have huge ramifications. ("Oops. Maybe that road shouldn't have been put there?") and there's not really a "play again" mode in urban design — at least not without time passing and another injection of cash. CMLC is working with Denver-based Civitas and Calgary's Gibbs Gage Architects on this massive Victoria Park vision project. And when you look at the early draft of their draft proposal (everyone's stressing the "we're just laying out some possible ideas here"), one of the things you notice is the stuff that can't be moved. Some pieces are literally set in stone. Roads and rail tracks, and a few "keeper" buildings top the list. Then there's the natural stuff. Like a river. Mark Johnson with Civitas said you can look at these as "limitations," but in developing a master plan, he's trying to think about them differently. "The real approach to this is to figure out how to turn all of those into advantages." In Victoria Park, the C-Train's Green Line is coming. The Red Line can't really be moved. The CPR tracks aren't going anywhere and the Elbow River carves its way along the eastern edge. "Think of the most exciting city that you've been in — wherever that might be in the world — and I can guarantee there's a train that runs right through that exciting place, and there's a river that's close to that exciting place," said Johnson. So those potential barriers lead to some interesting workarounds. If a neighbourhood has barriers, it must also have points of entry. Neighbourhoods don't exist in isolation. They work best when they're woven into the areas around them to truly become a place people want to go. Barriers need to be overcome and there are some interesting ideas on the table to do just that. 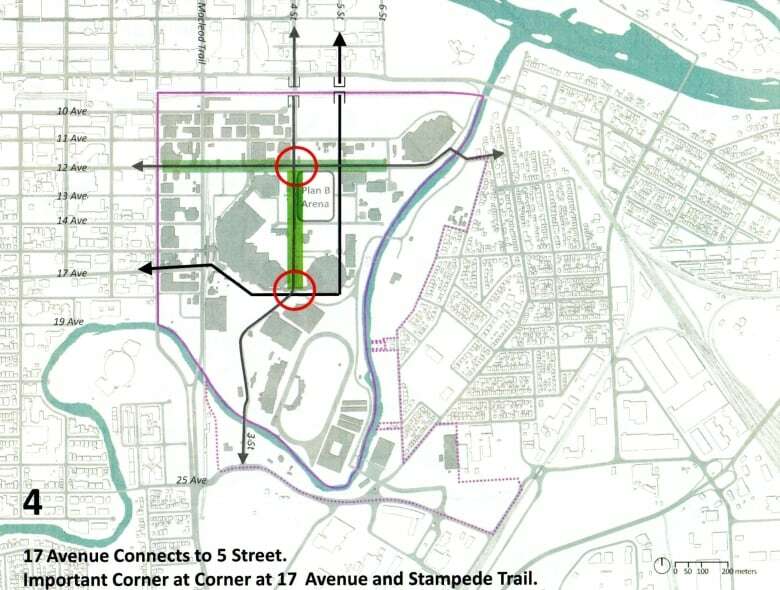 First, the city wants to extend 17th Avenue S.E. across the current C-Train line by Stampede station. Currently, the Red Mile abruptly ends at fences and tracks. A new entrance would improve the circulation of pedestrians and traffic. There are even drawings that suggest someday the tracks could be buried. But that's expensive. Then there's the possibility of creating a new underpass on 5th Street S.E. under the CPR/future LRT tracks to help link Victoria Park with the East Village. There's a couple of other ideas to help draw people into the Victoria Park of the future. First, extending the Riverwalk pathway along the Elbow River and second, putting in new cycle tracks. OK, these things make it easier to get there. Now let's look at what's on offer once you've arrived. Designers have to work with the city's laundry list of "must keep," "must have" for Victoria Park. 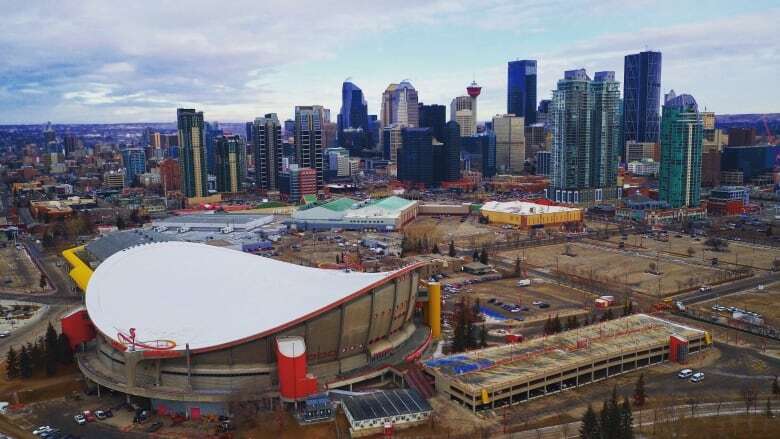 The neighbourhood has long been home to our iconic (but apparently needs-to-be-replaced) Saddledome, as well as the (got to keep) Calgary Stampede grounds and a rather grim (it can go) bus barn. Let's start with that transit garage. It could be blown out to free up some valuable real estate. The renderings show a forest of buildings rising on that site along with new streets. In the early draft drawings, the Stampede grandstand area stays pretty much the same. But there's a plan to tear down the historic Corral, and make a major add to the BMO Centre. Darn near doubling its size. That's in and of itself a nearly half-a-billion dollar project. What you call "real money." And, yes, the Saddledome. Calgary's current civic pain-point. We all know there's a proposed plan to build a new arena in Victoria Park. The illustrations show it sprawling across two square blocks — bounded by 12th and 14th Avenues and by Olympic Way and 5th Street S.E. This flagship project is budgeted for $600 million or more. Right now, those blocks are parking lots. And the draft plans show the potential future of the Saddledome site. It just might be — wait for it — a parking lot! So those are some big projects. But true neighbourhood is found in the details. The more you look at the virtual plan, the more you notice. Like condo building after condo building scattered along 10th and 11th Avenues. That would substantially change the demographic of the community. There are also plans for several hotels. One could be just north-west of the current Cowboy's casino. Another is possible on the doorstep of that new arena. And there's a bit of whimsy in the plan. Right next to the new arena location, on 12th Avenue, you can spot a building labelled "Opera." So you could say, catch some hockey and then Wagner's Ring cycle. But flagship buildings and new roads are just the beginning. They do not a community make. There's all that other stuff you need to factor in before a redevelopment actually becomes a community. The early draft of a Victoria Park master plan lays out a vision for loads of new retail and commercial development. There are plans for pedestrian-friendly streetscapes and designs around the Green Line. Speaking of the Green Line, the city's plan is to put a station along 10th Avenue at 4th Street. It would run the length of the block and have a little plaza out front. There also a plan for a major plaza right beside that new arena on 14th Avenue and new park space to be created along the Elbow River. As well, there's a lot of space for retail and restaurants and outdoor cafes. But of course, envisioning a new community at the heart of a city takes more than just placing the various pieces on a map. 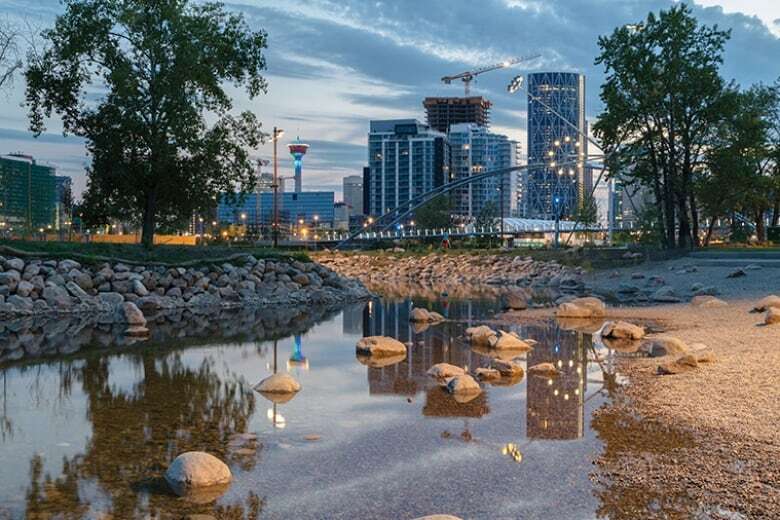 The head of the Calgary Municipal Land Corporation, Michael Brown, says any vision is incomplete without some key elements. "You can design whatever you want but you need to figure out who'd actually want to live there and make sure that design lines up to the folks who'd want to live there," said Brown. Secondly, people from the rest of Calgary have to want to come on down. In other words, they have to support this vision that Victoria Park is to be about people, not just buildings. There's an actual science to it all. Francisco Alaniz Uribe, co-director of the University of Calgary's Urban Lab, studies and teaches about urban design and planning and has written about how geography affects the way we live. When it comes to these early Victoria Park proposals, he likes what he sees. And yet, because Calgary's urban planning has been a bit of a mixed bag over the past few decades, he raises some issues around the "pattern of life" stuff. "I would like to see more details on the land uses at ground floor level, at the pedestrian level, and make sure that there is good pedestrian environment that is rich and vibrant across the site and not just on that main street, on 4th [Street]," said Uribe. Why? Well, we've all been in those parts of the city where flat windowless walls bang up against the street. It's like walking through a canyon of bleakness. Uribe's a bit worried about the BMO Centre expansion fronting onto 4th Street. "How are you going to make all of those blank walls that a big box-like convention centre brings pedestrian friendly? And especially along 4th Street?" asked Uribe. So, he says, the architects and planners need to make sure wherever they place the flagship buildings mentioned earlier, they don't alienate people at the street level. While he cautions against over-planning — and getting carried away by wanting to shoe-horn too many bits into the proposed entertainment district — he says Victoria Park should be big enough for all the elements that CMLC is trying to weave together. And weaving is key. "The lessons about land use zoning is that every time we separate land uses too much, segregate those land uses too much, then we start to lose the vibrancy of these places," said Uribe. So you can't just have an area of retail, and an area of condos, and an area of bars. You have to mix it all up. But mixing it up will be a challenge. The zoning and the various land owners are the biggest challenges Victoria Park will face. There's a whole lot of "interests" that need to be juggled and managed. The folks down at CMLC may have their hands on the rudder of the Victoria Park redesign, but they face the stormy seas of who owns what land. In planning and development, CMLC had it a bit easier in the East Village, where a lot of land was city owned. Victoria Park is another matter. The Calgary Stampede owns a pretty big chunk of this land. But there are several private owners, including Remington, which owns the land north of 12th Avenue. Even the provincial government is a player in that it owns a strip of land along the CPR line — a possible place for a future high-speed rail station. And just to make it all more complex, while the Victoria Park plan is being drafted, at the same time CMLC is developing a plan for the Stampede board for its expansion and dreams of a retail strip along Olympic Way. This plan is supposed to overlap like a Venn diagram with the master plan. Michael Brown says so far, so good. "Obviously a key test for us was putting it in front of Stampede and saying, 'You're the majority landowner in this area. Does this make sense?' They came back quite positively." Other landowners might not be on board. Because where's there's land, there's money at stake. So far, the CMLC has $150 million available for developing infrastructure and other "place-making" initiatives in and around Victoria Park. But this whole mega-redevelopment plan will cost billions. The $150 million comes from what's called the Community Revitalization Levy (CRL). This means that property tax revenue from the area is put into a special fund to help prepare the area for redevelopment. CMLC hopes to use that money to spark a building boom that will pull in billions in private development. It's worked in the East Village, where CMLC has committed more than $350 million of CRL funds. Something it says has attracted $2.7 billion in new developments. In the Rivers District (which includes Victoria Park), the tax levy is set to run until 2027. After that, the tax money goes into the city's general revenues. CMLC's Brown says it may be necessary to extend the life of the levy. "The reason I believe it's going to be necessary is that when you look at the limitations that our governments are under currently and you look at some of the aspirations that we've all aligned ourselves to — many different projects — we're going to have to get access to another financing tool like the CRL if we're going to achieve all these." In other words, city hall is going to need to find more cash if Victoria Park is to become another jewel in the redevelopment crown of the inner city. Mayor Naheed Nenshi says he's looking forward to seeing what CMLC and its architects come up with. 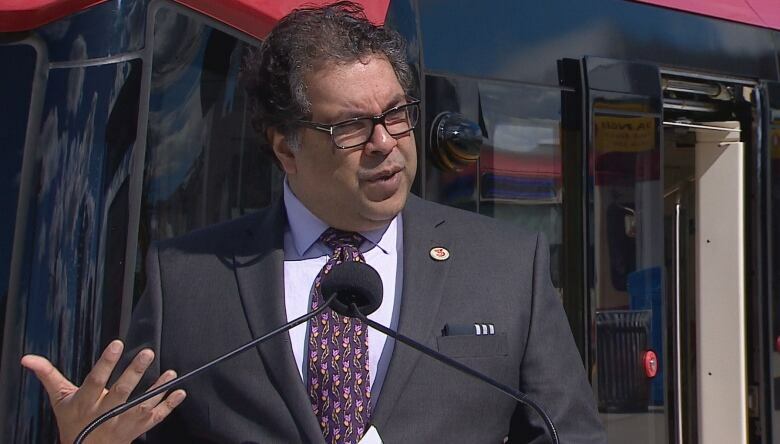 "I'm really excited about the work that we're doing there because it's really a missing step in the redevelopment of the [city centre]," said Nenshi. "I think we have a marvellous opportunity ahead of us to create another great jewel for the city and, frankly, that's an opportunity that's been missed for many, many years." There's truth to this. Victoria Park has sat just off to one side of the city's core for decades, saddled with a series of parking lots connected with many unlined streets. There's an arena that's become a political hot potato and the focus of a grudge match between city hall and the owners of the Calgary Flames. So this new plan, well, maybe it's the start of a different conversation. So in Victoria Park, expect debate and a load of design changes. "If we're looking at a painting, we're not doing the final touches. We're doing the big strokes." 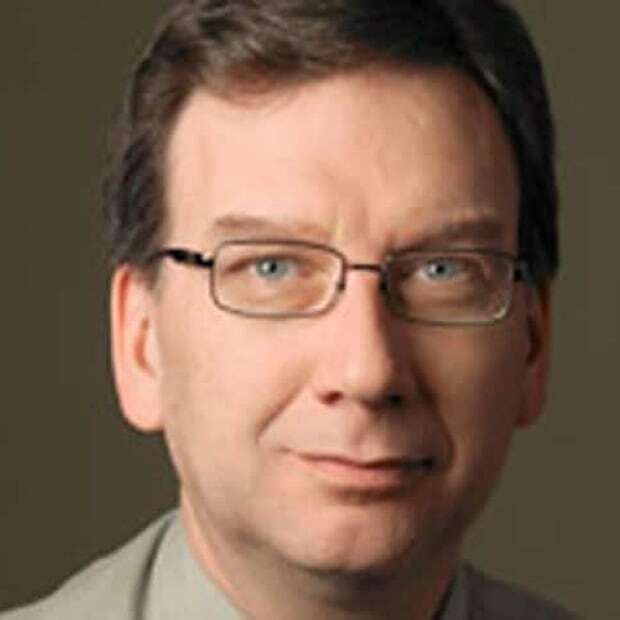 Scott Dippel has been at CBC News for more than two decades across four provinces. His roles have included legislative reporter, news reader, assignment editor and national reporter. When not at Calgary's City Hall, it's still all politics, all the time.